Have you heard of LanderBolt yet? 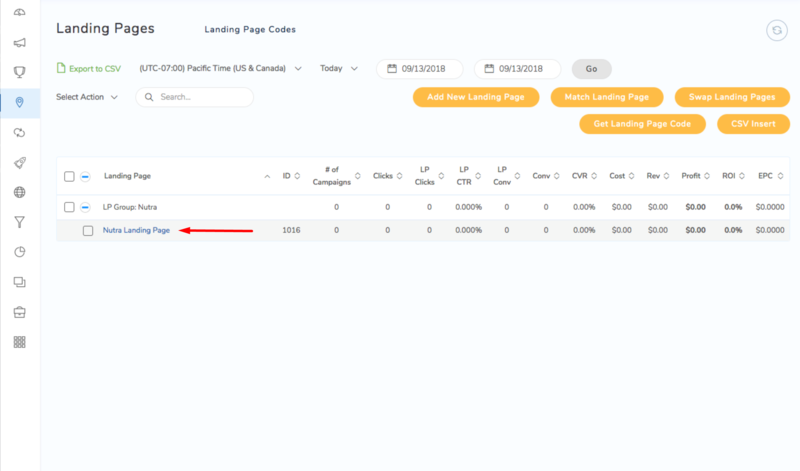 It’s a service that could make managing landing pages a lot easier for a huge number of affiliate marketers and media buyers, and we’re certain it’s going to be a massive help to our clients who choose to give it a try. To summarize, media buyers will now be able to view and use inspirations for quality landing pages being used today, have the template available in a visual editor, and push the finished product to Thrive for usage in a campaign — all without dealing with a landing page server. This holds a huge appeal for the average affiliate marketer who is testing dozens, or even hundreds, of landers. 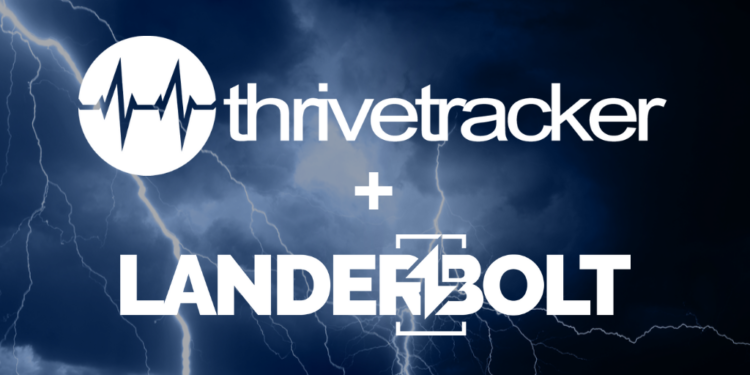 LanderBolt has made it easy and effective to pair up with ThriveTracker and sync landing pages without having to copy/paste, an incredibly valuable time saver. LanderBolt does an effective job of providing many options for creating your own landing pages from many successful templates – one of the most time-consuming tasks affiliates typically have to go through. A feature like this gives you more time to deal with pressing issues, such as finding the next great offer, getting a better deal on traffic, or spending more time enjoying the spoils of success. The ability to create landers and visually edit them is also great for affiliates who are less experienced in coding or don’t have access to a developer. 1. 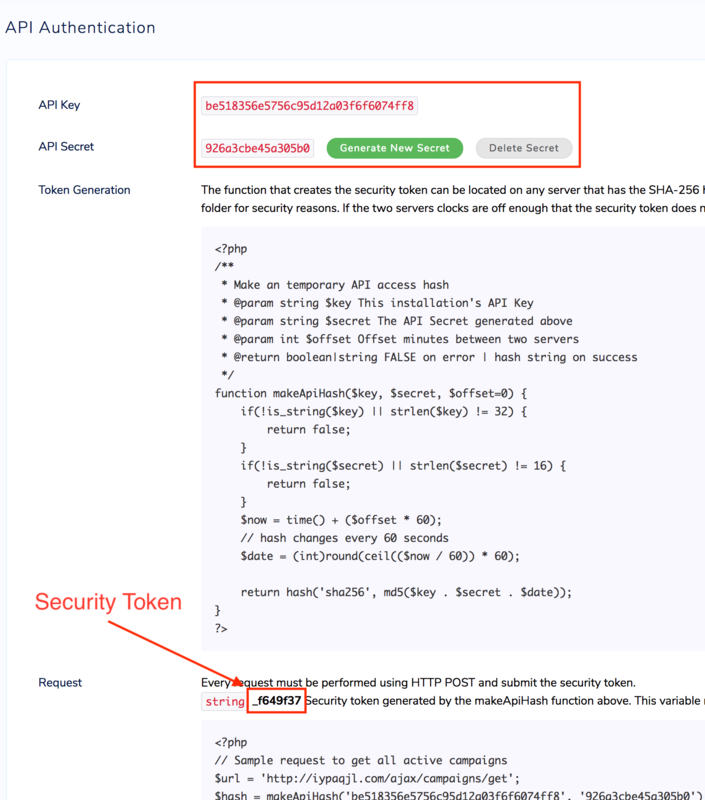 You must obtain your API Key, API Secret, and Security Token from the “API Access” page in your Thrive account. Access this page by selecting “API Access” from the settings menu located at the top right. Next, you’ll need to obtain your Thrive domain. This is simply the domain on which your Thrive tracker is installed. The easiest way to find your domain is to look at your URL bar in your browser when you are on the “dashboard” screen of Thrive. 2. Login into your LanderBolt account or signup for their 14-day free trial. You can cancel anytime. Once you have the necessary API information, you can easily set up LanderBolt to connect to Thrive. After you sign up for LanderBolt, access the “Integrations” page inside LanderBolt and complete the necessary fields. Click on the “Save” button at lower right to save those settings. Now that you have provided the necessary API information, you can use an ad Intelligence tool to find some inspiration for your next working landing page. LanderBolt will provide you with plenty of options to start with, optimize them for visual editing, improve load speeds, and import the desired page so you can use it right away. 3. 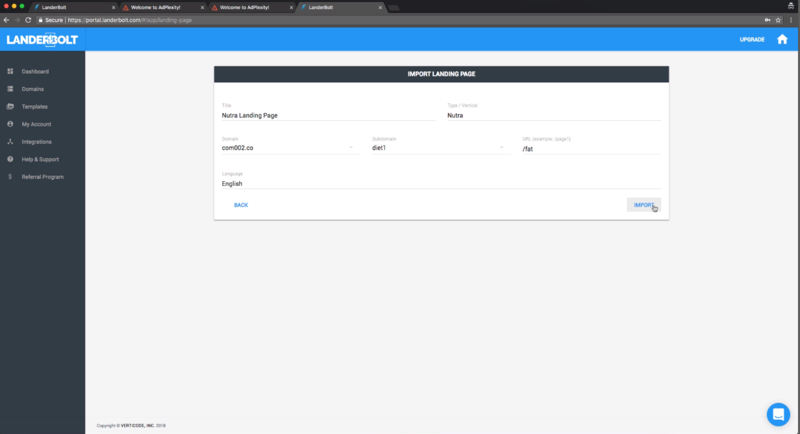 Use an Ad Intelligence tool to import a proven landing page or pick a template from LanderBolt’s library. In this example we are going to search for the word “fat” inside the ad info and look for a landing page for an offer. Next, fill out the page title, domain and url structure, then click “Import”. 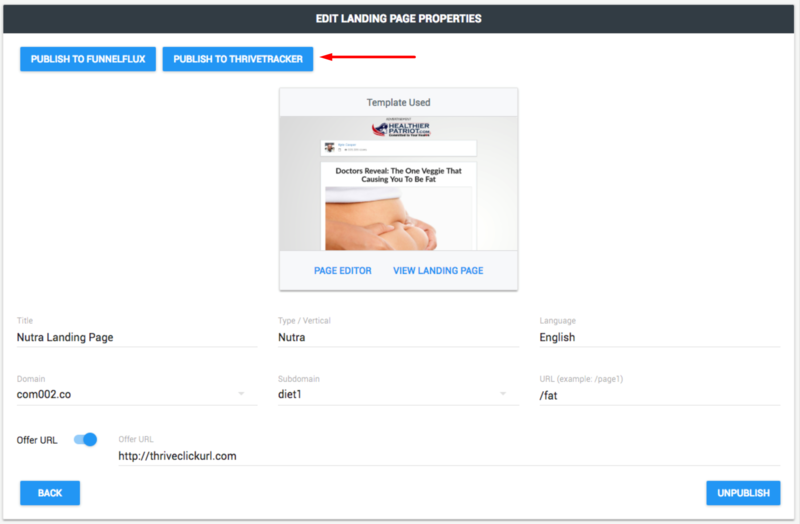 Once published, your landing page will be sent to your ThriveTracker account and synchronized automatically. Changes you make to your landing page name or URL inside LanderBolt will be instantly updated for you inside your ThriveTracker account. Go to your landing page tab in Thrive and you will see the landing page added to your account. It’s that simple. Interested in testing this latest partnership with your ThriveTracker account? There’s no doubting the power and efficiency being offered to every performance marketer with a tool like this at your fingertips. Feel free to contact our support team if you need assistance integrating LanderBolt into your ThriveTracker account.